Mr Hardy is interested in returning his patients to the activities, sports and careers they love. He adopts a conservative approach for the majority of the patients he sees, directing each to the appropriate and evidenced based treatments that work. His "Surgery only when it Saves" policy is consistent with the Hippocratic oath. Below are some of the activities his patients have returned to and testimonials from the adventerous patients. Many of the patients featured in the tabbed index below came for a second opinion or after failed surgery in other parts of the world. Whether it be a desire to return to sport after injury or to recover from the debilitating symptoms of osteoarthritis patients should plan their goals thinking "SMART". Mr Hardy can help you to manage your medical condition, describe your prognosis based on his experience and help you to set goals that are realistic. In this way you can manage your own expectations..
Voila the proof! Only 3 months after surgery walking up Ben Nevis for 12 hours! Thank you for making it possible. A short break in the Dolomites from Dr Bruce Marks on Vimeo. "Happy New Year John. Yes, getting back into flying has been great, and believe me, though I may have started earlier than advised, it was needed for my well being. I hope you have had a chance for a little relaxation? Here is a link to a video in my Vimeo channel shot at Christmas flying south of Perth "Christmas at Shelly's Beach" only two months after being evacuated from the dolomites with a broken ankle and thumb. Thanks again for your great care, it's very much appreciated still". Bruce Marks, Consultant Anaesthetist. "A after visiting our daughter in Australia in 2006, I started having pains in my knees and all down my left leg. My knees and legs ached, as though I’d walked miles. We couldn’t figure out what was causing it. Over the next five years, I tried everything. I saw a rheumatologist, other orthopaedic surgeons and a neurologist who ran tests but couldn’t find a cause for the pain. My GP told me I’d just have to manage with painkillers. But I wanted a second opinion, so we scoured the internet and found an orthopaedic surgeon called John Hardy — I saw him privately at Spire Hospital Bristol in July this year. I had X-rays and other scans. Mr Hardy diagnosed a bone spur — an abnormal growth of bone caused by the gout. He explained that when the soft tissue around a joint becomes inflamed, it can prompt the lining of the bone to start growing. Now that all my medical ailments seem to have been successfully overcome, I must thank Mr Hardy and his team for the help and advice you have given in going through the surgical process to get my knees and legs back in normal working order". 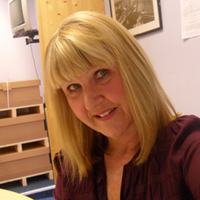 Janet Menzies is an author and journalist writing regularly in the Field magazine. She said: "3 years after my ACL surgery I am now up and running again - literally. 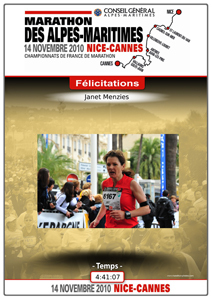 The knee has been holding up to such good effect that I was able to complete the French Riviera Marathon last autumn (proud pic enclosed) and the Torbay Half Marathon this June". 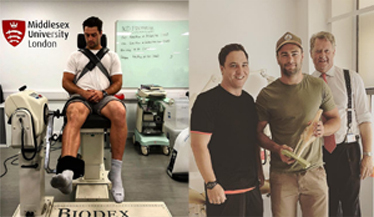 Alex Poole, who is a fitness training instructor in the UK blogged "I went to see the knee surgeon Mr John Hardy yesterday for the two week post op consultation. He removed the stitches and we were both extremely happy with the results considering only two weeks had passed. I have excellent range of motion and great quad tone. I have a little swelling in the knee still but that’s to be expected since I have been trying to stay active and doing as much rehab as possible. I warmed up with a cross train for five minutes in my Fat Burn In 30 workout". Nick Gauntlett is currently ranked 19th in the world and is on course for selection to the Senior British Eventing Team. Representing Britain in 2012 is the ultimate prize for his drive, determination and talent. 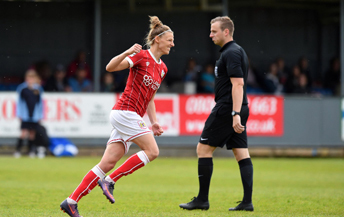 "I went into the Sport and Orthopaedic Clinic at The Glen Hospital in Bristol with severe damage to my knee ligaments and cartilage. From the moment I first contacted the hospital the service was nothing short of magnificent. I got a consultation within 24 hours of my first phone call. I had a scan that day, a follow up consultation the next and was on the chopping table a day later. All the staff were very professional throughout. I can honestly say that I enjoyed the stay in hospital for my first operation and had no worries about returning for the second, as the quality of care was so high. 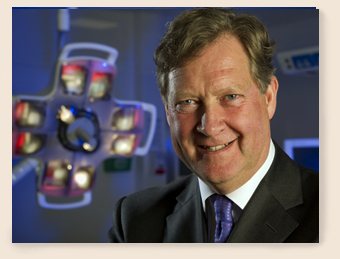 My surgeon John Hardy was excellent and reassured me when times seemed hard. The follow up physio was also very good. I have now made a good recovery and have been back as an operational Aviation Fire Fighter, returning to normal duties which include hose running, vigorous realistic Fire training and ladder drills. I would like to thank all staff at the Glen and I will not hesitate to recommend the facility to other I know with injuries. Thanks." Darren Colman. 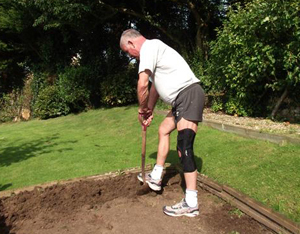 "I went to John following a failed operation on my knee. He diagnosed the problem that had been missed by the first surgeon. Now after simple day case surgery by John Hardy I am back to my sport". Steven Fromm. Leonardo Poggiali - "I am an Italian (London based) patient of Doctor Hardy. He treated my knee in 2008/2009 after a ski accident and surgery in Bologna. 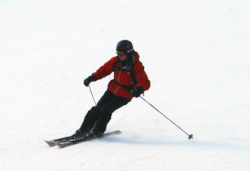 Thanks to his second opinion, skill with keyhole surgery, supervision and the talented physiotherapists of the BUPA Cromwell Hospital not only I recovered all the key knee function: last winter I have also been able to ski 11 days with no problem what so ever". "Of course I am treating my knee with the right care, but it has been holding extremely well under all circumstances and without any bracer".Leonardo Poggiali; - "I am an Italian (London based) patient of Doctor Hardy. He treated my knee in 2008/2009 after a ski accident and surgery in Bologna. Thanks to his second opinion, skill with keyhole surgery, supervision and the talented physiotherapists of the BUPA Cromwell Hospital not only I recovered all the key knee function: last winter I have also been able to ski 11 days with no problem what so ever". Before surgery at the Private Hospital in London that looks after the Indian High Commission I had problem in running, climbing stairs or any other task putting pressure on my knees, which would cause significant pain. However, after surgery my problem has been solved. My knees are recovering well now and I hope to reach to full sporting activity soon. Though I have not yet starting running, I am confident it will be fine when I am ready to resume running. The surgery with Mr Hardy has also solved my problem of broken ACL in right knee with which I was living with over the last 12 years after a motor bike accident in 1999. Mr Hardy and Ian Winson operating as part of the management of "turf toe" in an international rugby player. "Long Term Knee Pain knee pain is often caused by a build-up of gritty tissue after a fall. Treatment traditionally involved painkillers and physiotherapy, but Glenn Bailey, 46, an insurance company project manager from Bristol, had a new 30-minute operation that reduces the risk of further problems such as arthritis. He talks to Carol Davis" in this article on John Hardy and his patient Glen Bailey in the Daily Mail. John says click on the link above as this patient has explained very well his experience of the symptoms and signs of plica syndrome and how 30% of patients need it managed by this minor day case technique. The MRI is no longer an unpleasant experience. 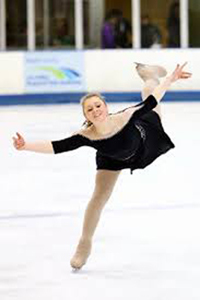 "I developed severe knee pain over 12 months before my first key hole surgery. The first arthroscopy in my local private hospital left me in terrible pain and discomfort. I knew that things were not right in my nee from the minute I left hospital. I was then in pain until I saw John Hardy and he advised and performed the second arthroscopy on my knee within 8 weeks. After the first arthroscopy I was advised to try the usual tablets, ice packs, exercise and physiotherapy when possible but things were definitely not improving. I saw Dr Jo Longstaff who is a Private GP in Swansea. She referred me very quickly for an appointment with John Hardy in his Bristol Clinic. Before seeing Mr Hardy I was really concerned that I been left with no option but to have a knee replacement. I really can’t compare the levels of care and service I got at Spire Hospital Bristol to the first hospital. There was a different feeling about the surgery and Mr Hardy seemed much more concerned with my individual care even though he was obviously looking after other patients as well. 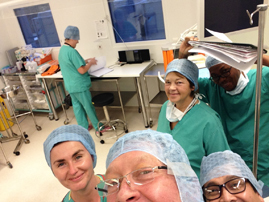 The anaesthetist Mr Hardy works with at Spire seemed more attentive. My treatment at the Spire Hospital Bristol was excellent, including the after care following arthroscopy. At the previous hospital there was no plan in place regarding after care. I was allowed home the same day and the following day I could tell straight away that the knee surgery was healing and this time getting better by the day. This was compared to the first arthroscopy which was getting worse by the day. 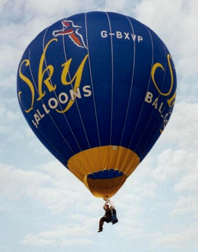 Les after knee surgery in 2005 Extreme Ballooning at the world famous Bristol Balloon Fiesta. "After I had surgery with John at the Spire Hospital Bristol I was made player of the year at North Bristol RFC. "I am so grateful that I was recommended by my GP for a second opinion with Mr John Hardy who finally sorted my knees out, after two arthroscopic attempts by another surgeon which did not work. I had never heard of Hoffa’s posterior fat pad impingement syndrome and an Orthopaedic Consultant I met at a Christmas party had also never heard of it but clearly in my case I had been suffering from this condition for several years as Mr Hardy and his team fixed both knees for me. At long last my knees are fabulous with great movement and pain free. I am happy to report that I am now firmly back in the saddle which for me is a very important part of my life. With thanks to Mr Hardy". “With short notice, Mr John Hardy and his team fitted us into his busy schedule and it was a very efficient service, which was really appreciated. The Donjoy Comfortform Wrist Splint was extremely comfortable and allowed me to carry on with my training schedule. As a left handed Nationally sponsored player (one of the AEGON Future Stars Programme) having an undisplaced Salter-Harris II fracture on my left dominant fifth metacarpal could have meant no tennis for 6 weeks, but my Biomechanics Coach, Team Bath Tennis and John Hardy have allowed me to cross train with my right hand which will strengthen it and obviously improve my backhand!” “Thank you all"!! – James Mitchell. A picture from Swamp Creek caves. "Following a successful 'lateral release' operation for Chondromalacia Patellae on each knee I am now venturing underground again in the world of Caving Taking it steady but now able to crawl and climb in places I would not have been able to go prior to surgery. 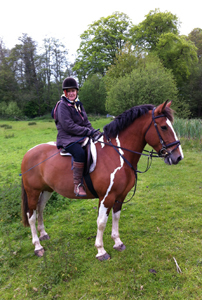 Walking, cycling & horse riding are all now pain free and enjoyable once more. Thank you John for my new knees!!!! Angela, Bristol". 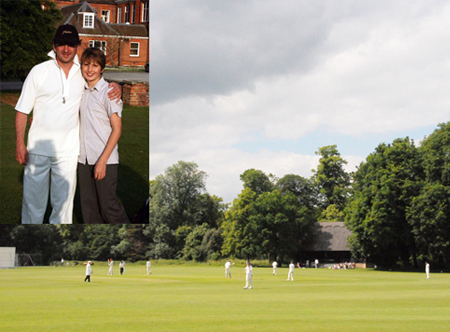 "A couple of photos of Marion back on the bowls green within 4 weeks of arthroscopy for osteoarthritis of the knee. 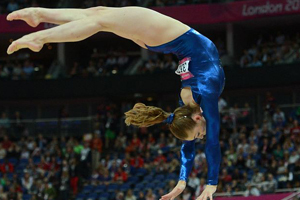 Marion wants to avoid knee replacement surgery for as long as she is able to compete in this sport. She is due in for the same on the other knee soon! Stuart Fisher". Update December 2010: "Marion asked me to send a quick email to say that last weekend she bowled over 150 woods in a bowls competition and won – and all without pain". “last time I saw John I promised to send him some pictures of Alan taking part in the 100 mile bike ride from Bristol to London (it was in fact 117 miles) on 29.8.10. 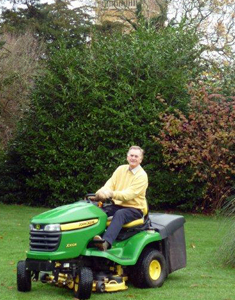 John operated on Alan's knee a few years ago - and without the surgery Alan would never have been able to do this. 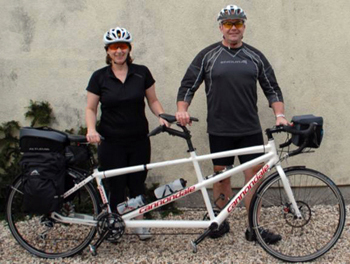 Alan completed the 100 miles in just 9 hours with 7 hours pedalling and 2 hours of rest stops throughout the trip”. 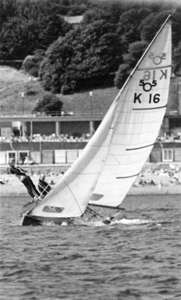 Kirstie Mann. "My recovery and rehabilitation was planned by John without surgery and instead we utilised the Donjoy leg brace with initial restricted movement. This was key to giving my knee support and the ligaments a chance to heel. Being an active guy I was consistently pushing the boundaries on various recovery exercises, this had an element of trial an error as sometimes I had overexerted the knee. The TROM Advance Cool ROM knee brace was fantastic at giving my knee that extra support and rest allowing it to recuperate faster when these few instances happened. The DJO service was impressive and replaced the whole brace within 2 days when one of the adjustment widgets was dislodged in training. After 2 months as my recovery without surgery was progressing well, I felt it was not unrealistic to consider the possibility of trying to participate in a bike event at just past the three month stage post accident. My knee surgeon and Physio. suggested a strategy to optimise muscle recovery by using the Compex Wireless system which definitely accelerated quad muscle recovery. 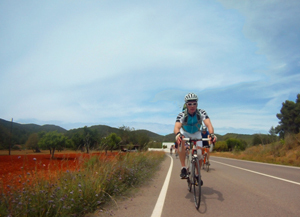 Thankfully I had no issues with my knee or lactic acid build up on my two day ride." So far in 2012 we have raised £150,000 from this ride. And it looks like we hope to do an enlarged version of this next year for GOSH again. 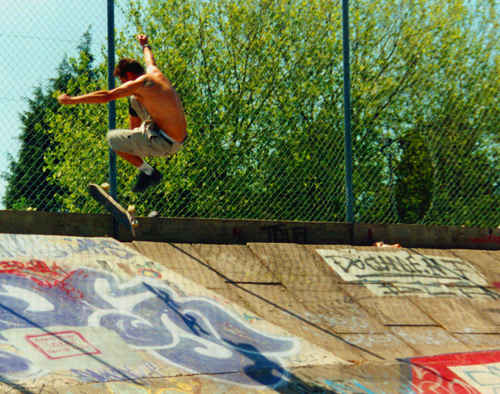 "When I saw John with a ruptured ACL I thought my career as a professional sufer and skateboarder was over. He reconstructed my ACL and I have never looked back" - Ross Mace-Nicholas. Mr Hardy congratulates Ross for his heroic rescue mission in 2005 some 4 years after his ACL reconstruction. 05 April 2005: - "Two British surfers escaped Nias island yesterday after saving a local family and surviving on the beach for seven days and nights. Ben Clift, 24, and Ross Mace-Nicholas, 26, rescued a heavily pregnant woman, a ten-year-old girl, a grandmother and a man in a wheelchair from the waves that hit the Indonesian island of Nias on Easter Monday". A picture of me back at work on our farm. John got me back on my feet following a fall from a horse in West Wales. I was looking for an Orthopaedic Surgeon to get me back to work and following an ACl reconstruction which was "Brilliant" I am lambing at one end of the year and shearing at the other. I have recommended him to many friends and family - Ruth Hughes. 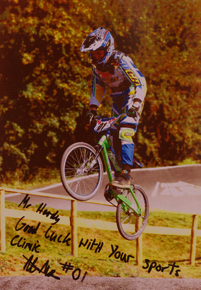 I was nervous about knee replacement surgery before I met Mr Hardy. I saw him with my husband and he examined me and with the x-rays he took explained the options available to me. I was keen to return to dancing and so I decided to have a knee replacement. This is me 9 weeks after knee replacement in Dec 2004. We are delighted with the way things have turned out. Thanks again Mr Hardy. John says please do not try this at home everyone! “I went to see a Consultant in April 2011 after a 2 or 3 year period in some pain with my left knee. I suffered a lot of knee pain while walking up and down hills. I was diagnosed with an arthritic knee so I decided to go ahead with an arthroscopy on 30th August 2011. The staff at the hospital in Cheam were pleasant and I was seen by my first Consultant, the anaesthetist and a physiotherapist before the operation. After the operation I felt quite unwell having to stay in overnight. My Consultant did not visit me in my room after the operation at all. The following morning I was unable to walk. It was from then that my nightmare began! My knee felt as if a "cheese wire" was cutting through my knee. I couldn't sleep at night and the final straw came when my husband found me sobbing downstairs in the middle of the night! I was told there was nothing further surgically that could be offered for the glue feeling in my knee. Click on the yellow letters for a testimonial from a Spire Hospital patient who had a poor response to surgery in another hospital but cam to Mr Hardy for an accurate MRI and successful keyhole knee surgery. 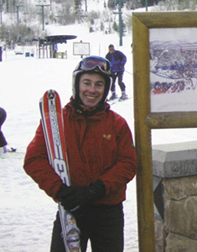 “I was referred to Mr. Hardy because of rapidly developing osteoarthritis of both knees in 2010. I was keen to continue to be involved in sport and avoid knee replacement surgery. My case was complex as I had a rupture of a previous ACL reconstruction in one knee and a meniscal tear in the other. With rapidly progressing osteoarthritis in both knees I needed a plan of action to deal with the pain, lack of range of movement and instability. From the first meeting we formed a plan of surgery and rehabilitation that over two years has worked. 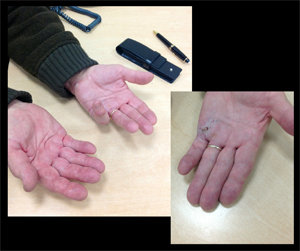 “I recently had an injection of Xiapex into my left hand to straighten my little finger which was bent over and unusable for several years with Dupuytrens. My hand was then dressed and I returned home. During the night I had the urge to stretch my little finger and something snapped in my hand. 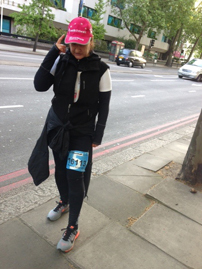 “The London Moon Walk 2015 full marathon, by pure serendipity, had me walking right past the Cromwell Hospital, where Dr. John Hardy did an ACL reconstruction on my knee. I stopped to take this photo, remembering his words post operation: "You will be doing marathons"....:) Three years ago, before the operation, I was using a cane to walk, so doing marathons sounded like a bygone dream. This Sunday morning, 17.05.2015, I was crossing the finishing line of the Moon Walk Marathon, with a smile on my face and huge gratitude in my heart! I have to say that Dr. Hardy gave me a lot of confidence from the moment I met him, for the first consultation. Thanks to his expertise, and his wonderful team, I was recovering pain free after the operation and I fully recovered a day after power walking for 26,2 miles. Thank you for making dreams come true. Click on the yellow letters for a testimonial from a Spire Hospital patient who set and achieved all of his goals for total knee arthroplasty with Mr Hardy and his team. Click on the yellow letters for a testimonial from a Spire Hospital patient who appreciated her total knee arthroplasty with Mr Hardy and his team at Spire Hospital. This is the Everest photo I mentioned. 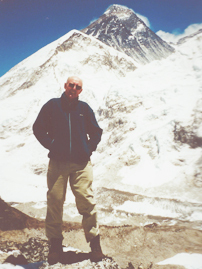 Taken on the trek in 2001 only a few months after you sorted out my knee. The trek gave it a real test, as you can imagine, reaching 18,500 feet over really rough ground." The first arthroscopy on my knee (done elswhere) was a waste of time and the surgeon suggested I would need radiotherapy as treatment. Then I found out about you. Thanks to you 7 weeks after my second knee arthroscopy I'm pleased to say goodye to synovial chondromatosis." Click on the image for a You Tube video of Danielle at a Gala after surgery! I am a competitive Aerobic Gymnast and I was successfully treated by Mr Hardy for a recurrent Hoffa's Fat Pad injury. He was very friendly and he was able to arrange an MRI scan and follow up appointment for me all on the same day which meant I could get my diagnosis immediately and start the appropriate physiotherapy treatment straightaway. This enabled me to get back to training within eight weeks rather than have to take significant time out. I have just found out that I have been selected for the GB squad this year! Mr Hardy, Here's a few of the photos that you asked for. You carried out arthroscopy on my knee 28 June 2016. You corrected a problem that caused me a sharp pain, when cycling, on my left knee. 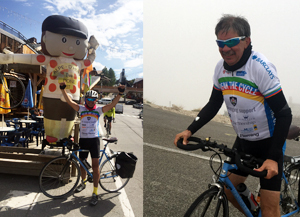 Less than 10 weeks later, and with suitable training, I cycled up both Alp d'Huez and Mont Ventoux - pain free! The knee felt great. Thanks again for your skilful intervention. Mr Hardy carried out an ACL reconstruction (using hamstring) and atheroscopy on my left knee on 31st March 2015. I was very excited to get back in to running after my operation. 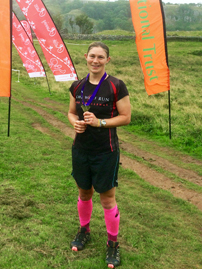 I built up the training and completed the Relish Running Cheddar cross country series during the Summer of 2016. Firstly the 10km, then the half marathon and lastly the marathon in August. 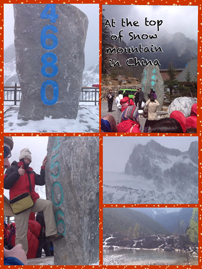 It was very challenging terrain with lots of steep, rocky ups and downs. I ran and trained with a Velcro wrap around knee support but probably more for reassurance! I was really pleased with how well my knee coped with all the slipping and twisting and over the moon to have completed my first ever marathon. I came fourth out of the ladies and completed it in 5 hours 3 minutes. Not the fastest but a massive achievement for me and I was pleased to be in one piece and have no issues with my knee. After 16 months of being passed from piller to post with several medical professionals, and conflicting hypotheses about my knee injury I was referred to Mr John Hardy, an anterior knee pain expert. I saw John on the 2nd January 2018. On the same day I was MRI scanned and was back in John' office for confirmation of the diagnosis. He explained the options and, based on the reports of other successes, I decided on surgery. Within 2 days I had an operation booked for 3 weeks later. Mr Hardy and Lucy (his wonderful PA) kept me informed of what was going on at all times and worked with me to fix my knee. The operation went well and The Spire Bristol Hospital was extremely welcoming. Within 6 weeks I was back to running and football refereeing in 8 weeks! I will forever be in John and Lucy’s debt for my quick recovery after a stressful year in 2017. I highly recommend John for all things Patella Tendonitis! Henry Taylor: "Team fix Henry's knee" officially discharged by my career saving surgeon @orthoandtrauma after 9 months since first surgery. John Hardy: "Thanks for asking me to join the @Saracens team for the last 3 months." 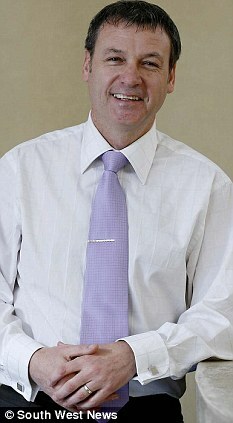 "I have just had coccyxectomy surgery with Mr Hardy following extensive research regarding surgeons throughout the UK. 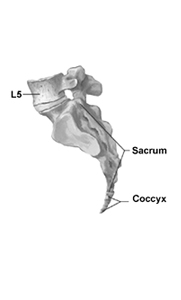 I also did lots of research through a Facebook coccyx pain support group and Mr Hardy was mentioned a lot. I booked an initial consultation even though my Private Medical insurance didn’t cover Mr Hardy. From the moment I met Mr Hardy I knew I wouldn’t trust anyone else to perform the surgery I needed and for me there wasn’t an alternative option other than the op. Mr Hardy performed a thorough investigation and examined me. I found Mr Hardy very personable and he gave me so much confidence in choosing him as my surgeon. I travelled from Cumbria to Bristol because he was the one! The help and support I had from Lucy his secretary was also so useful and she was available for advice throughout. Thank you! "I have to say since you did it it probably took me three or four days to not feel any more pain up and down stairs." Click Medial Meniscal Tear to hear the whole televised interview between George Davies and John Hardy. Or click to see the Spire Hospital News review on this video. What can I expect during an assessment With Mr Hardy either as a new patient or for a second opinion? 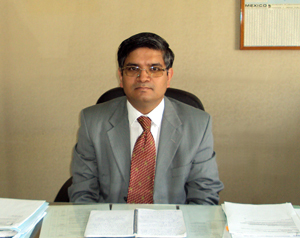 The traditional approach to the management of any pathology is to make a diagnosis and only then offer treatment. The diagnosis is made by a doctor taking a full history to elicit clinical symptoms, examining the patient to elicit clinical signs and only then confirming the diagnosis using the appropriate investigations. Mr Hardy says: "each patient may have more than one diagnosis and getting the correct outcome for the patient with minimal risk of complications means getting this part of the process correct. It takes time"
Many patients ask if they should get a particular test before seeing Mr Hardy. Mr Hardy appreciates it if the pateint brings along historical investigations. 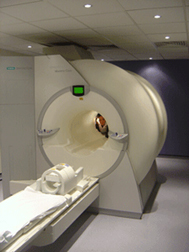 However, there are many types of MRI for example and the choice of the correct one is important. Mr Hardy said: "the choice of x-ray or scan that is appropriate to the diagnosis only comes with many years of experience. It is always a pity when an expensive investigation is performed but it is not appropriate to the patient's condition and another more appropriate one has to be prescribed in addition". Mr	Hardy	is happy to advise on the correct investigation following a clinical assessment. Treatments on offer should consider Evidenced Based Medicine and the first approach should be conservative unless surgery is indicated. Mr Hardy will always discuss the relative benefits and risks of the available treatments with you.